A man left bruised and bitten is recovering after a violent attack in his own back yard near Easy Street in Port Charlotte. James Truckenbrod was reportedly attacked Monday by five pitbulls. The dogs jumped his gate and started attacking his smaller dogs. 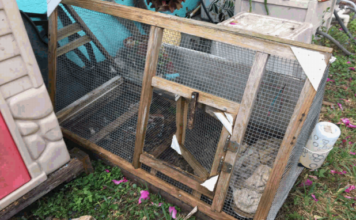 Truckenbrod says he flew into protective parent-mode to save his own pets. Truckenbrod’s neighbor heard the the screams and immediately ran to the rescue. “My neighbor came over the fence with a machete and started hitting them,” Truckenbrod said. His dogs were able to escape without serious injuries, but Truckenbrod was not so lucky. “I’ve got bite marks all over my body,” he said. The pack of pit bulls are still roaming the streets. Charlotte County Animal Control is patrolling the area. 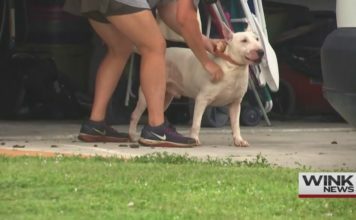 “Whoever owns these dogs, they were not trained right or something to that affect,” Truckenbrod said. Despite the attack, Truckenbrod does not believe all pit bulls are dangerous but says he will be more cautious. “I love dogs,” he said. If you see the dogs or know the owner, contact the Charlotte County Animal Control.